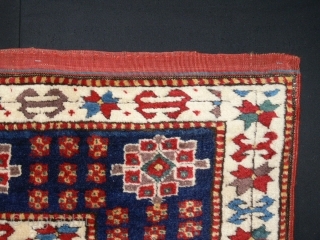 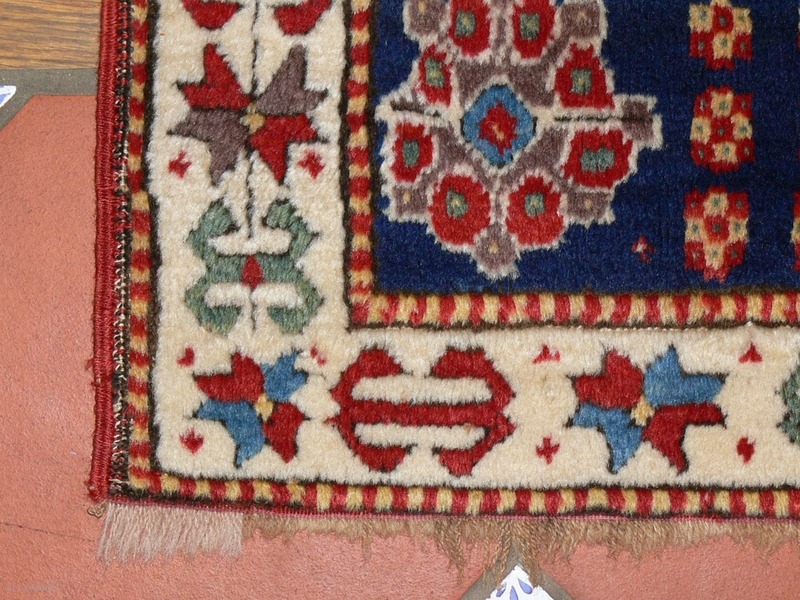 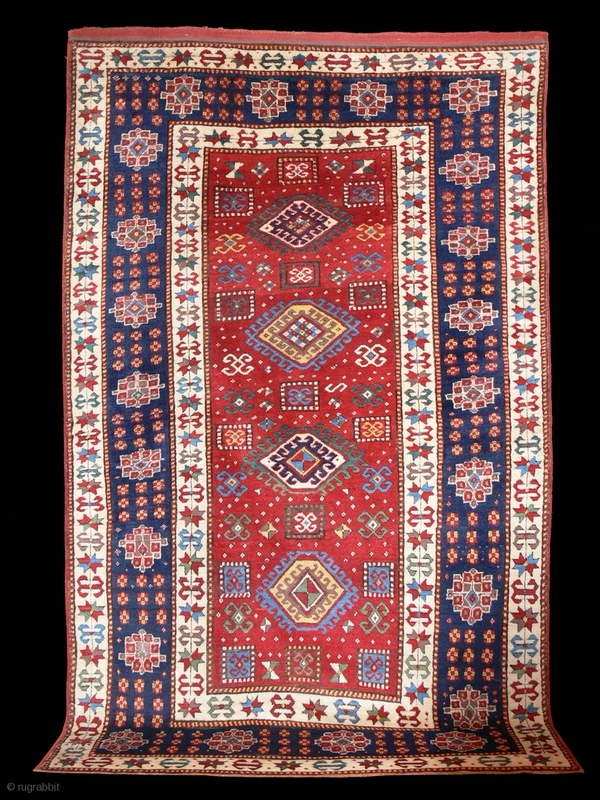 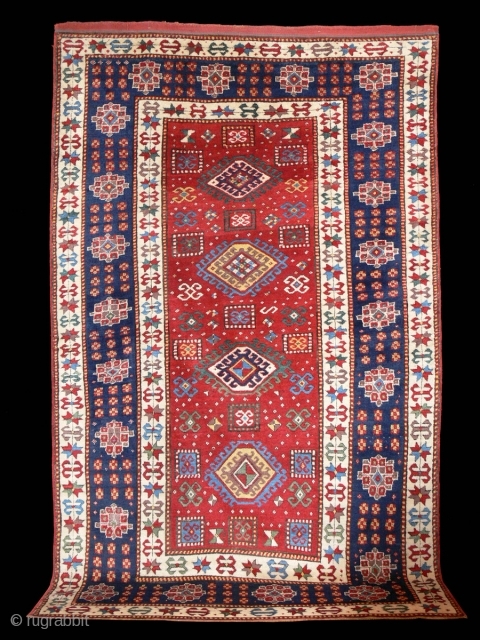 Ref 1277 Kazak carpet circa 1875. 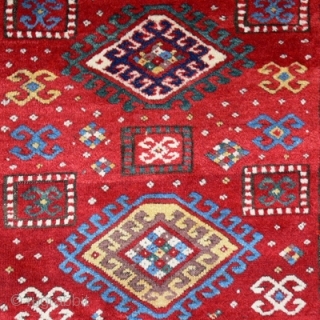 7'11 x 4'9 - 240 x 145 In very good condition, soft lustrous wool and vibrant colour. 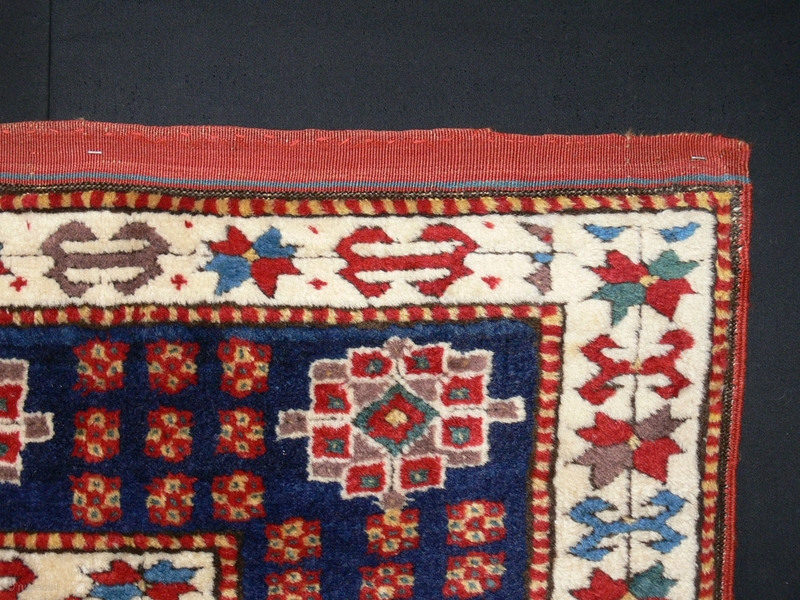 Insignificant restoration.